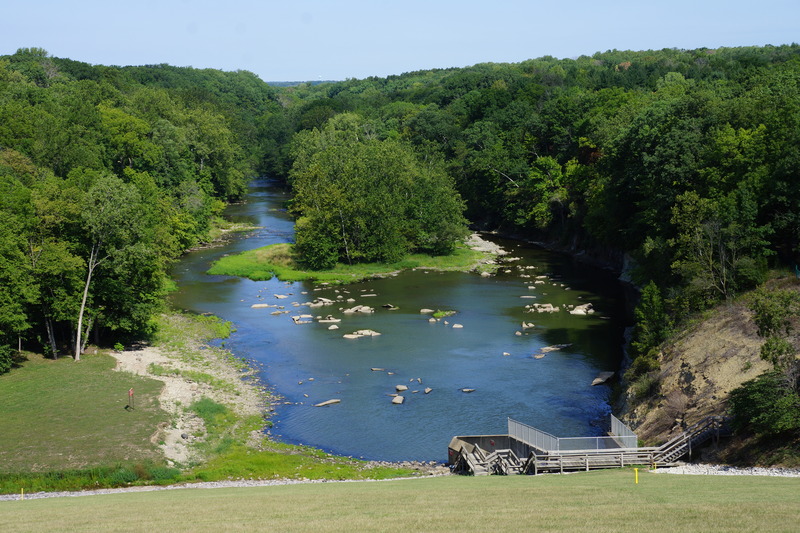 Mile 15: View of the Salamonie River just downstream from the Dam. While it appeared low, upstream of the Dam looked 15 to 20 feet low. The weather was terrible at 7 am when we met for breakfast, torrential downpour, lightning, and high winds. You could see on weather radar that this system was quickly moving past Wabash. Since we had a shorter distance today (63 miles), we decided to reconvene at 10 am. Perfect timing – The sun was out and streets were already beginning to dry. It turned out to be a great day to ride with the minor issue of high 80s temperatures. The notable event of today was my missing two turns. Fortunately, I only added about 4 miles to my distance since I was easily able to get back on track thanks to my Garmin 800. The scenery was no different than over the last five days so I only took a couple of photos. Our lodging in Decatur was over 13 miles off route – Indiana simply doesn’t have good lodging near the bike route. While Decatur appeared to have every fast food chain represented on the streets I biked, Dale and Diane spent 2 hours trying to find a good place for dinner. When we left for dinner and they said that they had identified a buffet restaurant, I was apprehensive – I had no reason to be. Dinner at “Back 40 Junction” was great (with the exception that it was mobbed, justifiably). None of the very large selection of buffet items (salads, breads, appetizers, fish, meat, sides, and deserts) tasted “institutional”. 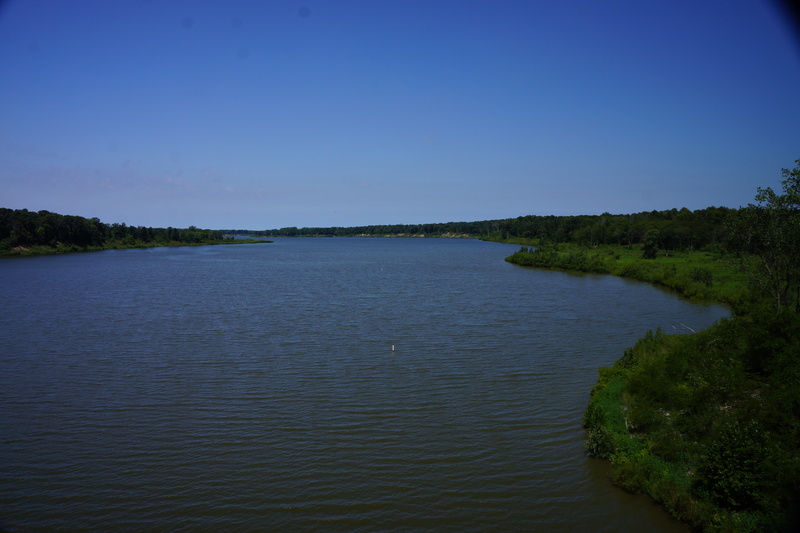 Mile 32: View of Edward Roush Lake (part of the Wabash River), near Huntington, IN. Mile 44: Doug and Robert taking a break in the shade for ice cream in Zanesville, IN. This entry was posted on August 1, 2012 by Steve. It was filed under Photograph of the Day .